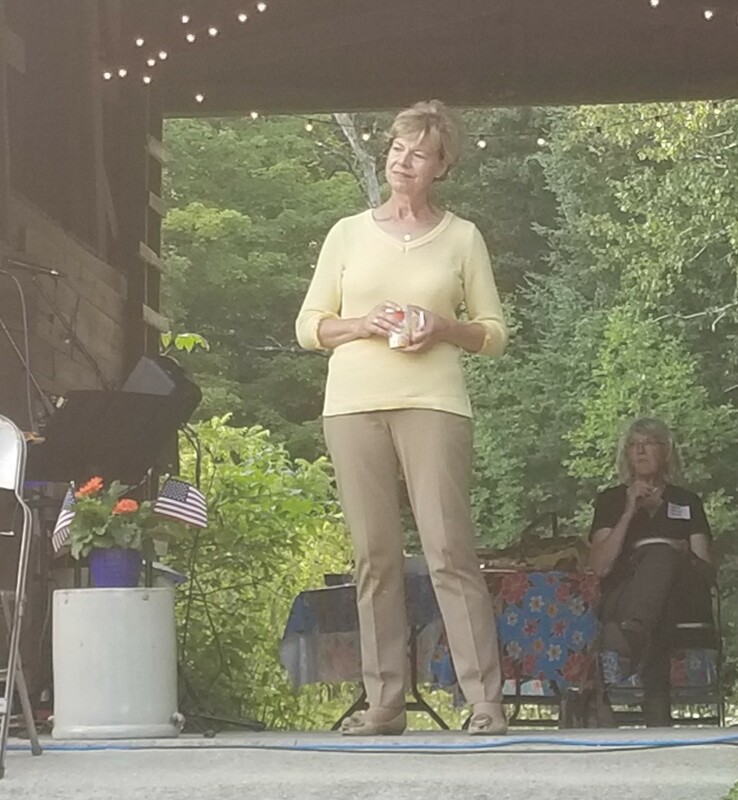 This past weekend (Aug. 12 ) Senator Tammy Baldwin was in Door County, her last stop on a week-long statewide tour. 250 of us who live in Door County got to meet Senator Baldwin, talk to her about our concerns and got to hear her speak about her position on issues.I think Tammy Baldwin is the real deal. She supports issues that are important to me and many Wisconsinites. To name a few, they are: clean Great Lakes and drinkable ground water, affordable health care for all and coverage for people with pre-existing conditions, fighting the opioid crisis in our state, not giving tax breaks to the wealthy but finding ways to increase wages for minimum wage workers, commonsense gun legislation, and fair immigration reform. Plus, Senator Baldwin is willing to work across the aisle and get things done in congress by creating and supporting bipartisan legislation. We elect our US Senators, and their job is to work for us, not for any big money donors or big business lobbyists. In the next months as you drive around our county and see all the blue Tammy signs and you think about what’s important to you and how you want to be represented in the US Senate, keep Tammy Baldwin in mind. She’s not bought and paid for by out of state billionaires. She’s a voice of compassion when needed and always a voice of reason and civility, working for ALL the people of Wisconsin.